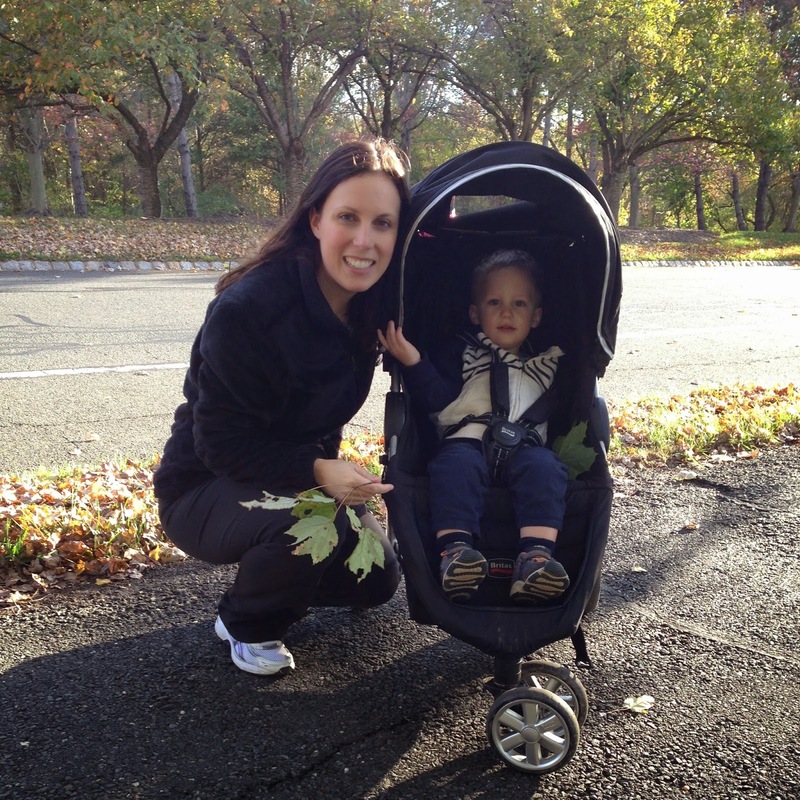 We started out our weekend on Friday afternoon with a walk after Noah's nap. 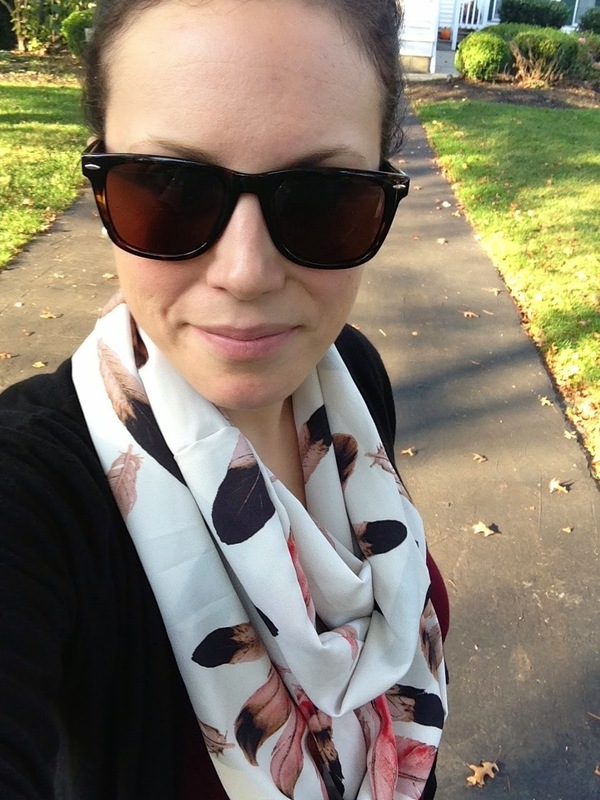 We had rain all week, so I was super excited for nice weather on Friday so we could go outside! Chris worked late on Thursday and didn't get to see Noah before bed. 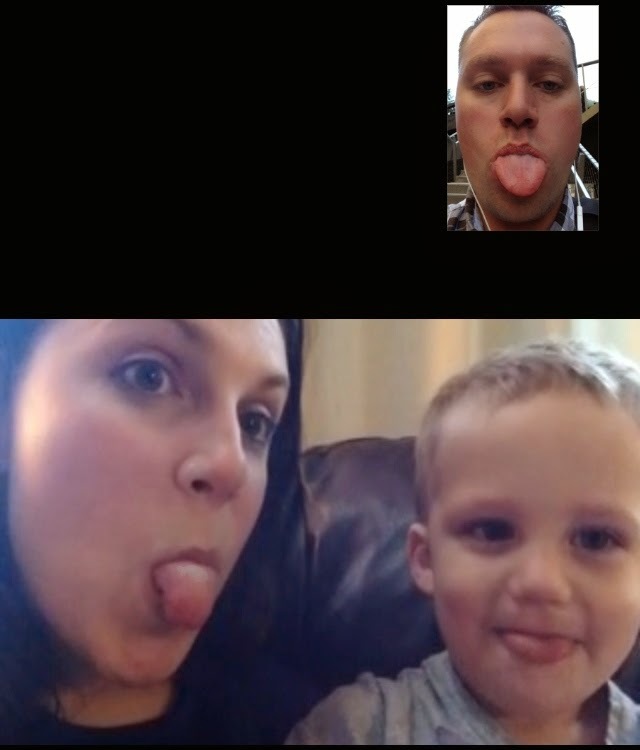 So Friday, we FaceTimed him on his walk to the train... things got a little silly! 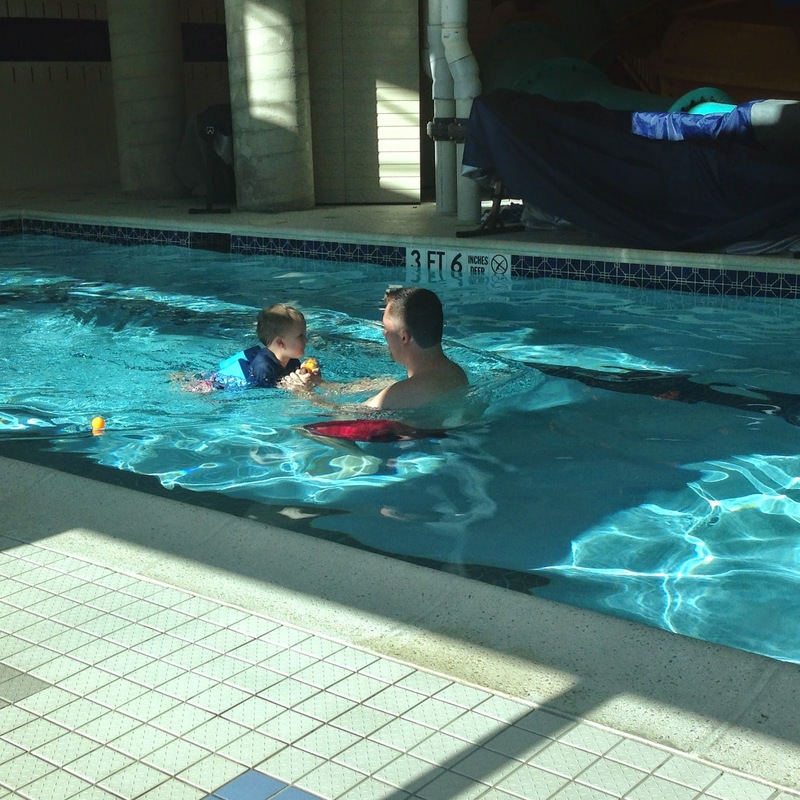 Saturday morning, Chris and Noah had swim class. Noah wasn't super into it this class and got out early. Hopefully next week is better. Later that afternoon, I got to have some time to myself! I met a friend at the movies while Chris took Noah to Nonna and Granddad's house for dinner. 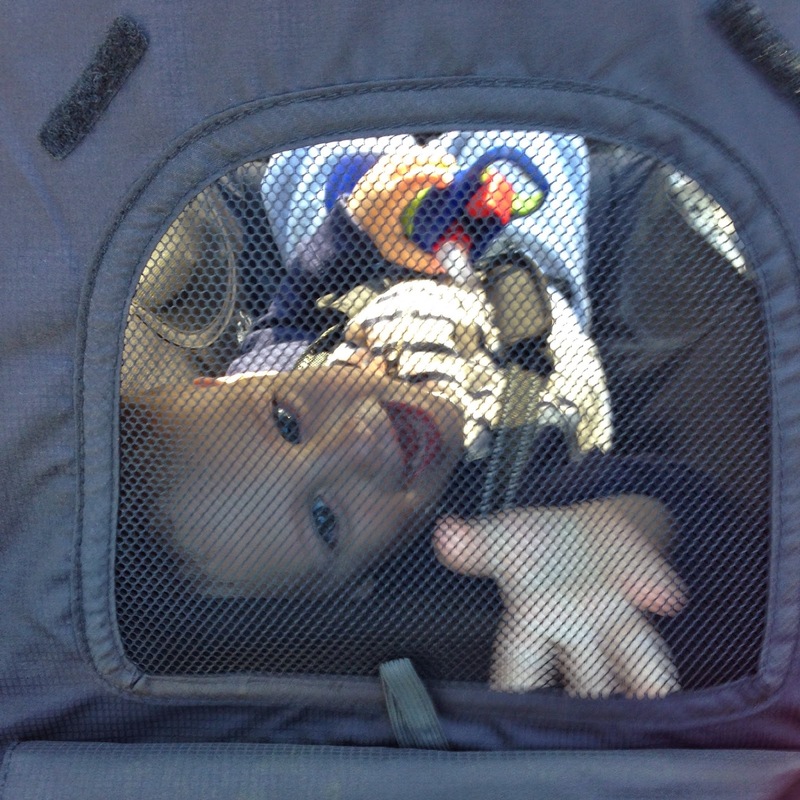 Noah had a blast at Chris' parents' house! 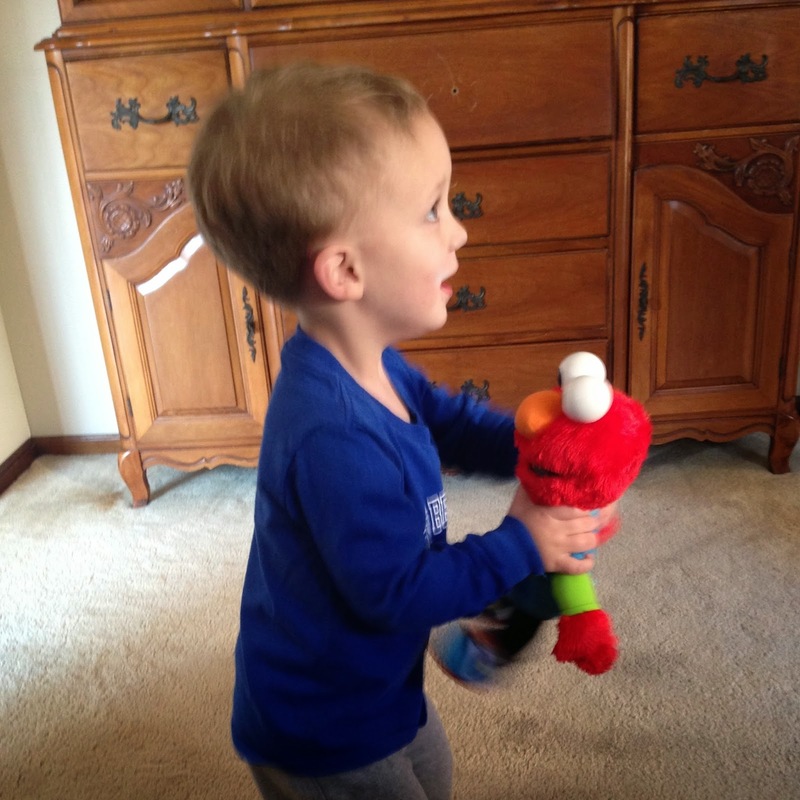 They got him this ABC Elmo and Noah had so much fun dancing with him! 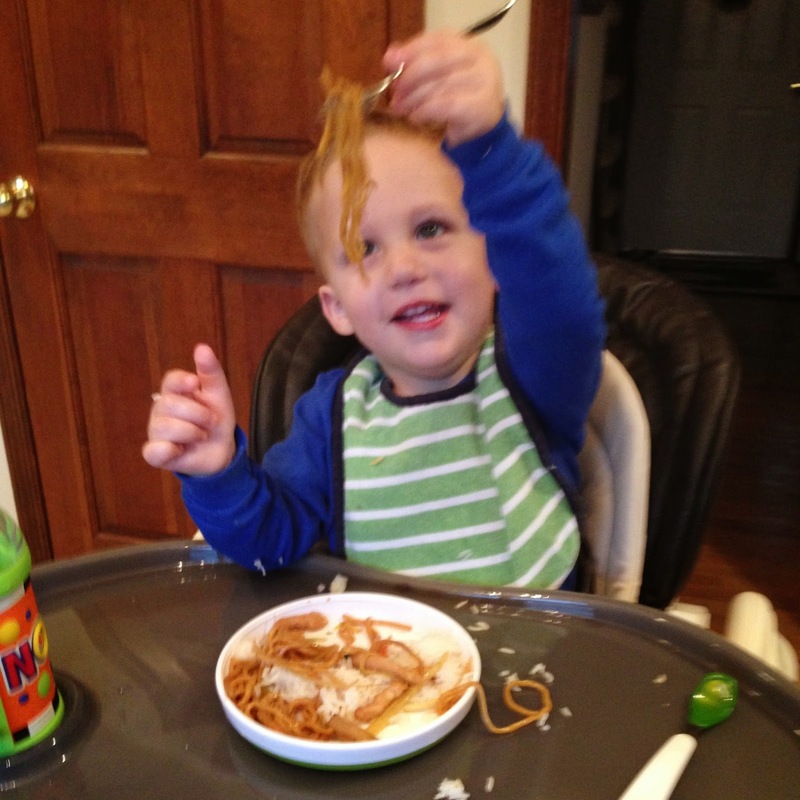 They also had Chinese (Noah's favorite) for dinner! 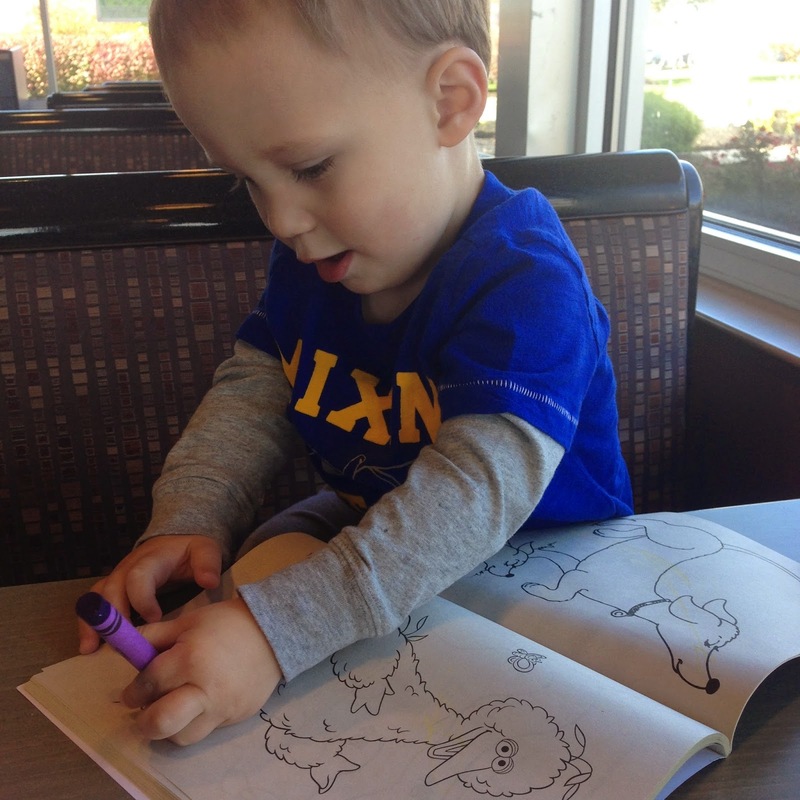 Meanwhile, my nephew Aidan was celebrating his 2nd birthday! My mom went up to see them and brought him our gift! We got him these balls and I was told they were a huge hit! He held onto them while opening all his other gifts! On Sunday, we ran to Costco and Target to get some things for Halloween (candy) and Noah's party. 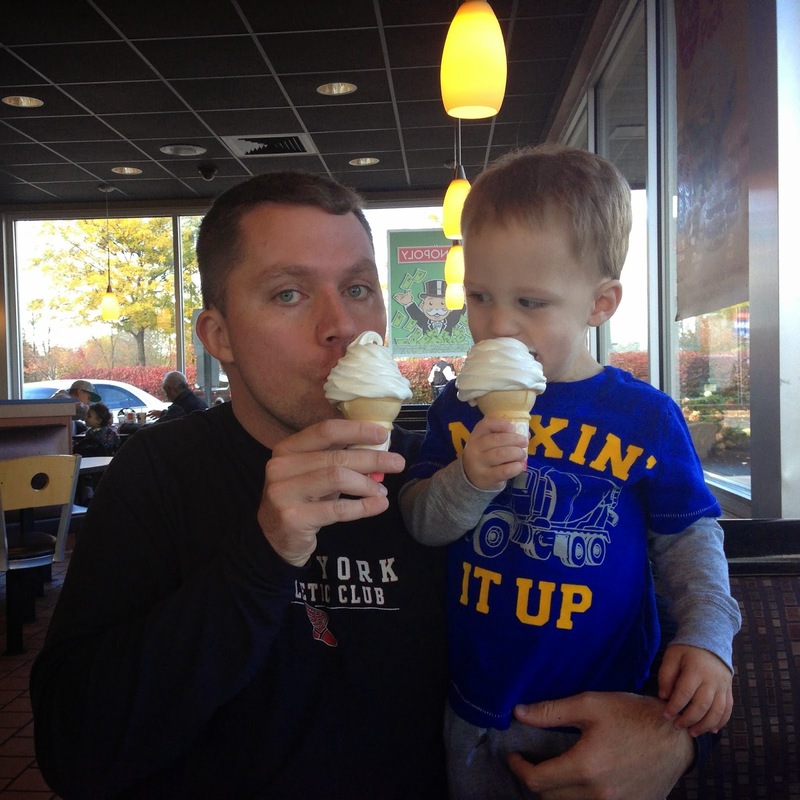 We then grabbed lunch (and ice cream) at McDonalds before heading home. 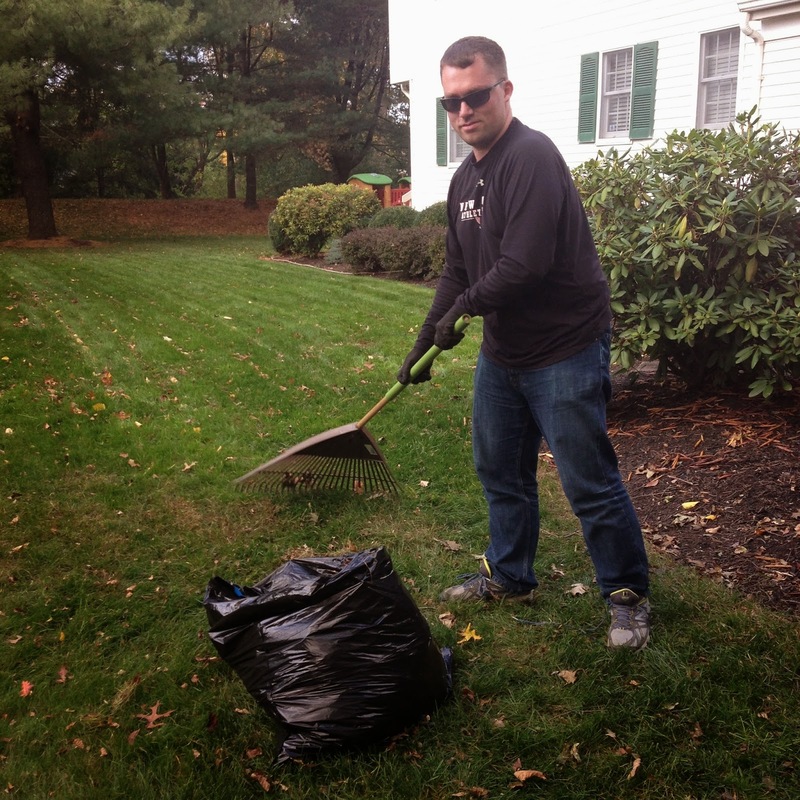 We spent the afternoon doing some yard work (well Chris did that) and taking a walk around the neighborhood. 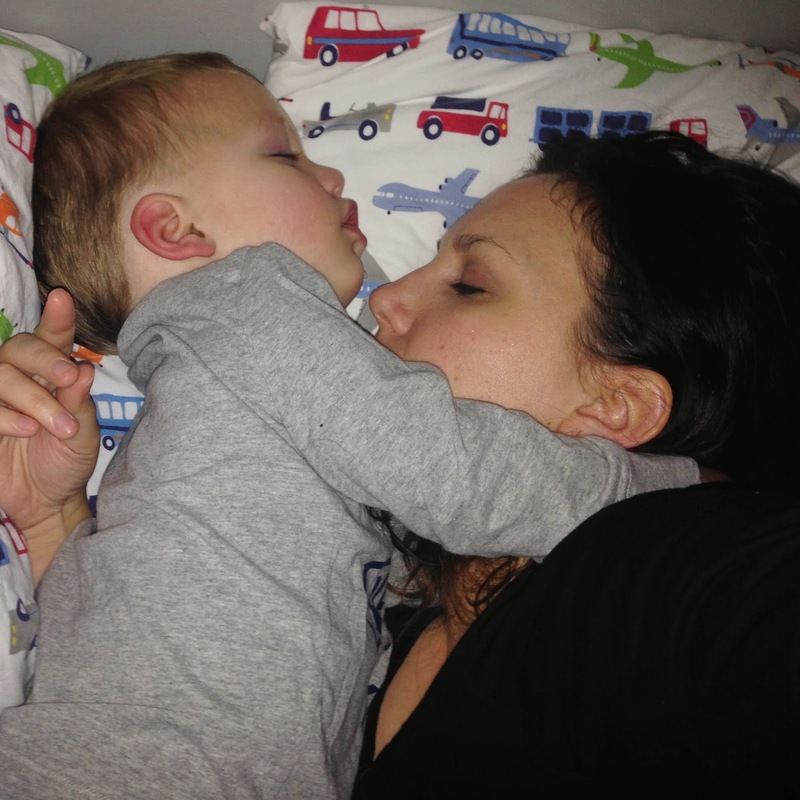 After dinner, Chris and Noah always play for a little before bed. Recently, they've started playing in Noah's room. Apparently Chris has taught Noah a new way to use his magnetic board! This is too cute! And that laugh was awesome! How awesome that he has a cousin so close to his age! I bet they will be best friends growing up! Your weekend sounds fun but relaxing :) my favorite kind of weekend!